Mangled bodies, shattered minds. The bodies get counted, the minds do not, and when a Marine, Sailor, Soldier, Airman or former serviceman or women ends their life due to suicide their name is not included on the casualty reports. In January 2014 the Veterans Administration released a disturbing report that male veterans under 30 years old saw a 44% increase in the rate of suicide. The rate for women veterans increased by 11%. 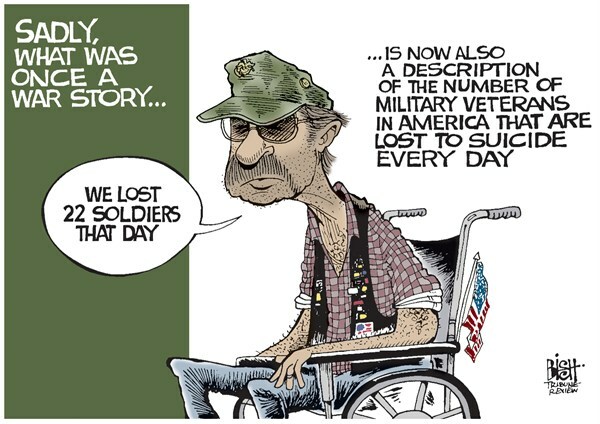 About 22 veterans a day committed suicide in 2013. That did not count those still on active duty numbers which are still high but have dropped somewhat since 2012 and previous years. I believe that the stigma that many felt about getting psychological help while they were in the military continues on when they enter civilian life. Unlike the military where there is still some sense of camaraderie and a chance that the chain of command might force a service member to get help, no corresponding structure or community exists in the civilian world. Young veterans are often isolated and face new stresses while they are already on edge. Many find that the military occupation specialties that they trained for have no direct civilian counterpart, leaving them struggling in the civilian job market. 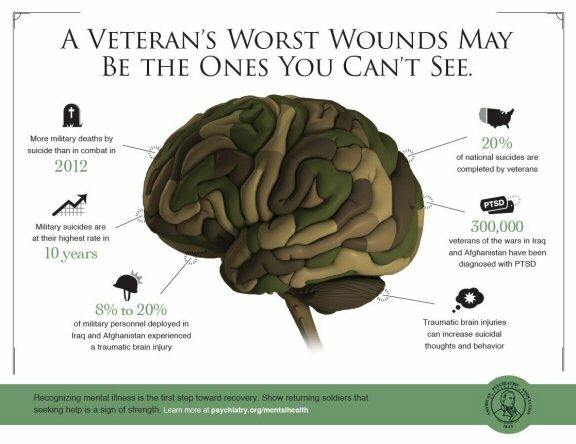 Combat injuries as well as injuries sustained in training often continue on, limiting what they can do and the unseen injuries of PTSD, Traumatic Brain Injury and Moral Injury, often undiagnosed and untreated lurk in the background. This is a national tragedy and crisis. Many of these young men and women are among the best and brightest. They volunteered to serve in time of war and now as the military, especially the Army and Marine Corps begin to shed large numbers of troops, many more will be thrust into a world that they may be ill equipped to survive. They will attempt to go to work or attend school, quite often alone. There they will be surrounded by people who have no idea of the issues that they face or understanding of the military world that they left, or the places that they served. I think this social isolation will be a killer for many. My recommendation is that people who work or go to school with these young veterans, or for that matter any veteran get to know them. Help them adjust to the world and keep an eye on them. Ask them how they are doing and just show that you care. You do not have to be a veteran to do that. Likewise get to know about the resources that are available for veterans and help direct them to them. Have the courage to care. Resources include the Veterans Crisis Hotline which is staffed 24 hours a day, 7 days a week. They can be reached at (800)-273-8255, press 1, or here to chat online. They also allow veterans to send a text message to 838255 to receive confidential support 24 hours a day. Another resource is the Real Warriors Live Chat. The a trained health resource consultant is ready to talk, listen and provide guidance and resources. They can be reached by calling 866-966-1020 or going to their live chat service here http://www.realwarriors.net/livechat. To me this is personal. I still suffer from the effects of PTSD, TBI, Moral Injury and have been to the brink of suicide. I am doing a lot better, and I love life, and I can’t imagine living it without me. However, I have known far too many veterans who have taken their own lives, or struggle with mental health issues, physical injuries and illness, or social isolation. Last January, about the time the VA report came out a brilliant and heroic senior officer I knew, Captain Tom Sitsch who helped me when I was collapsing due to the effects of PTSD took his own life. This is something that all of us have a stake in. Please help look out for our veterans. I have been writing about my recent experiences in trying to get help for my own issues dealing with PTSD as well as my frustration with a military mental health system that is, at least in my view, floundering. That effort over the past month or so has been quite painful, at times humiliating and dehumanizing, and frankly driven me into a depressed and nearly suicidal fog, from which I am slowly emerging. Today was a good day. Not just for me but maybe for all of those seeking help at our local Naval Medical Center. 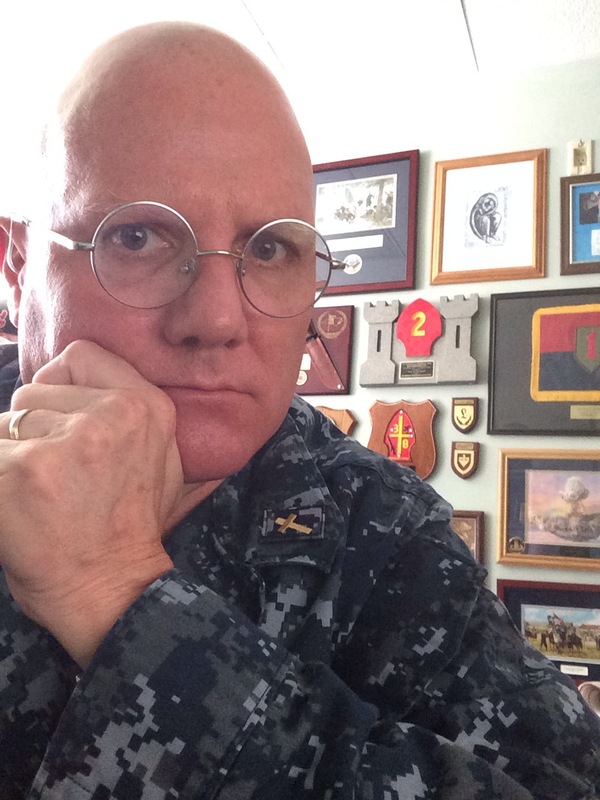 Instead of being blown off and shunted aside by providers as well as mid and high level administrators I was able to have a long, nearly forty-five minute phone conversation with the Admiral who commands that facility as well as every Naval Medical facility on the East Coast and Europe, with the exception of the Bethesda-Walter Reed complex in Washington DC. Bottom line up front; it was a very good and positive experience for me that I believe will help others get better care. I have to say up front that I was terrified about asking to talk to him. One of the people on his staff told me that “it would not be a good thing for me to talk to him.” When I heard that comment my heart sank. I didn’t know what to do, I was perplexed because most commanders of Medical facilities in the Navy that I have worked for actually did want to hear about negative experiences of the people that are their customers, most because they care, but if nothing else because they want to make sure that they pass the Joint Commission accreditation that their facilities get every few years. So I wondered if the Admiral actually knew what was going on, at least in regard to the Mental Health Department and the experiences of people like me. My last Command Master Chief, who read some of my very angry posts on a social media site suggested that I call my former Commanding Officer, a man who helped me a lot, cared about me and who is soon to become an admiral. I finally worked up the courage to call him, not out of fear, but because I felt like I might be bothering him, and would not be worth his time. I left his command a year ago and frankly I thought why should someone moving up in an organization be bothered by the problems of a former subordinate. However, he was both concerned and helpful. He did not just listen but he took action by contacting the Admiral here. He told him that he knew me and that he knew that it was my desire to make sure that people get the help and care that they need, that I wasn’t just complaining or seeking special treatment. Yesterday the admiral called me, of course my phone went directly to voice mail so I missed the call, but his message, and the tone of his voice conveyed a sense of care and concern. I called back and got his voice mail. So this morning I called again and was able to share my heart, in a very respectful way with him. He listened and seemed to be attempting to formulate some kind of positive response that would actually help people. He wants to get answers and he told me that he wanted those that come to that facility to be treated as he would want his grandparents treated. As I said we talked for forty-five minutes and he listened. I have no doubt, within the very real fiscal constraints faced with current budget cuts and the still looming threat of sequester that he will do his best to improve and change the system that is within his control. He also did something that I have never experienced before from a superior officer, he called me “sir” a number of times. I am not used to that and I don’t think that I have ever in all of my reading of military history recall an Admiral or General calling a subordinate “sir.” I was blown away. That system appears to be undermanned, under-budgeted and overwhelmed. It is struggling and as it struggles, as it reacts to criticism from the media, politicians and advocacy groups, it resorts to protecting itself as any bureaucracy does in such a situation. The Admiral realized this and he encouraged me to call him again on his office number if I see things that he can help. That was very encouraging. I don’t think that I will have to ask him to intervene on my part, but I have an open door to use this relationship to help others. 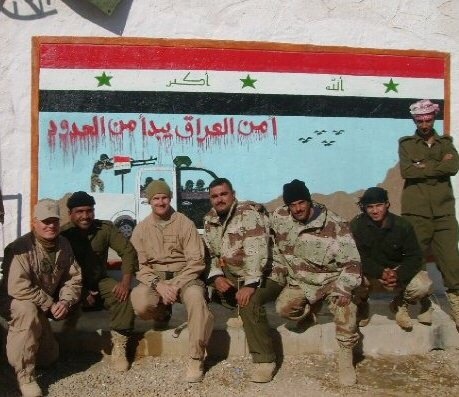 However, when I first collapsed after Iraq, I decided that I could not be silent and have “sky-lined” myself which probably will not help me get promoted, not that care anymore. 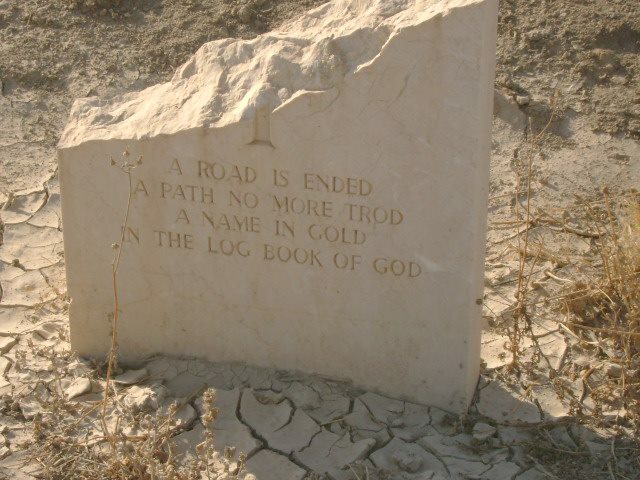 I am sure that being so public about my struggles with PTSD, Moral Injury and even my crisis of faith, which left me an agnostic for a couple of years, while serving as a Chaplain in adult and pediatric Intensive Care Units has marginalized me in the Chaplain Corps. I don’t know that for a fact and would hope that it is not the case, but it is the feeling that I get when I deal with most Chaplains. All of that said, the past few weeks have been some of the most difficult since my return from Iraq. I personally find no pleasure in being anxious, depressed or feeling suicidal and getting even less sleep than my chronic insomnia normally allows. At least I was listened to, and I really did get the sense that the Admiral that I was able to have such an honest conversation with today, does really care and wants to help improve the system and change the culture. But that is the thing. This is a systemic and cultural problem, not just in the military or the Veterans Administration, but in society as a whole. In our desire for efficiency, supposed effectiveness measured by profits and the bottom line; we have forgotten to care about people. Sadly that is statistically verified in poll after poll by people from all parts of the political spectrum. People don’t trust the government, they don’t trust big business, they don’t trust health care systems, they don’t trust the police, they don’t trust the banking and insurance industries and they certainly don’t trust the church or religion in general. Can I get an amen? But our culture has to change, we have become so materialistic and embrace the most crass forms of predatory Capitalism and Social Darwinism, even in church, that people don’t matter, especially the poor and those with no voice or power, especially those who volunteer to serve the nation and come back broken in body, mind and spirit. His question is as operable today as it was then. There has to be a reckoning somewhere for destroying peoples lives, and further traumatizing them when they seek help, otherwise there is no justice nor anything that resembles a loving God. We have to start valuing people, regardless of their social status, their race, religion, sexual preference, disability or even their alma mater. If we don’t start caring for people as human beings, then why bother with anything else? It is either about humanity or its not. Those who are comfortable cannot turn a blind eye thinking that these issues don’t affect them, because they will. So in spite of being unpopular in some circles I take the personal risk to speak the truth the best and most honest way I can to anyone that will listen. I have to do it, for those that feel that they have no voice, as well as those who I have known who have lost their lives after giving up on the system. I owe it to them. It is now my mission in life and I do that I can both inside the system and outside of it to speak out for those who need it. I guess I have become something of a liberal social activist, not that there is anything wrong with that.